Amenities Private, expansive & picturesque lake with dock. On site horseback riding or horses incorporated into your wedding through Central Coast Trail Rides. You can house guests at either of the two rental properties: or book the entire ranch: The 5 bedroom/4.5 bath Main Villa sleeps up to 12 and has a fully stocked kitchen, microwave, wine decanters, wine fridge, laundry room, fireplace, 72 inch plasma TV's, high speed wireless internet and generous outdoor patio with string lights. The 1 bedroom/1 bath + loft newly built, solar powered Cabin sleeps up to 6. The Cabin has a mini kitchen, stove, and generous outdoor BBQ dining area with gas grill. 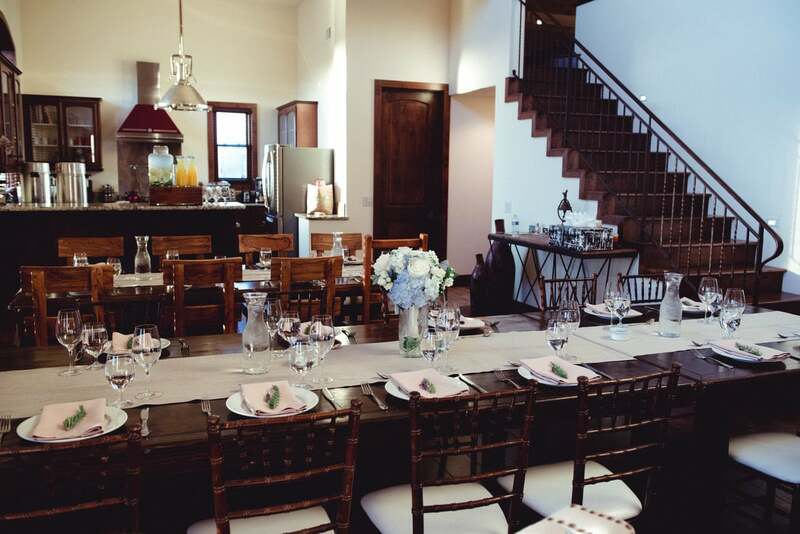 Both rentals include 100% Egyptian cotton linens, towels & down comforters and private outdoor BBQ areas. Spectacular views and sunsets. Ultimate privacy. Perfect for creating a progressive weekend or intimate wedding of your dreams. 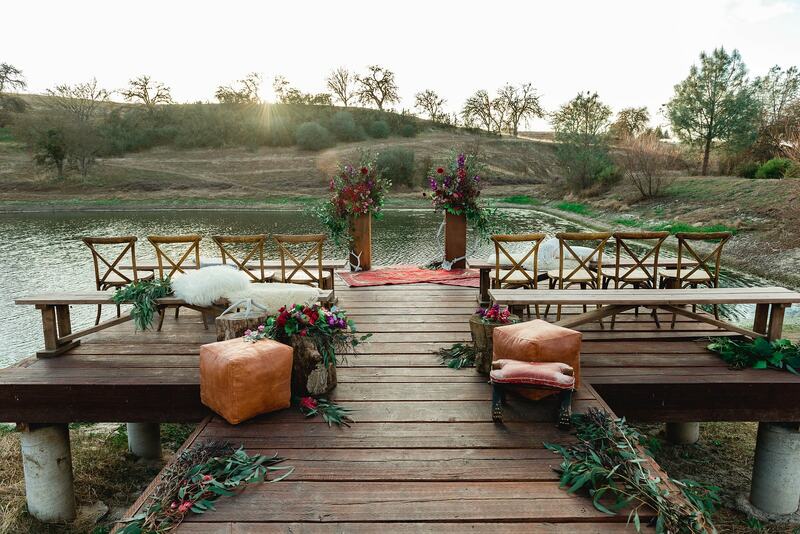 Create and celebrate your wedding day lakeside on our 150-acre retreat in Paso Robles wine country! Is your dream wedding set among the beautiful rolling hills and mature oak trees of the incredible Paso Robles wine country? 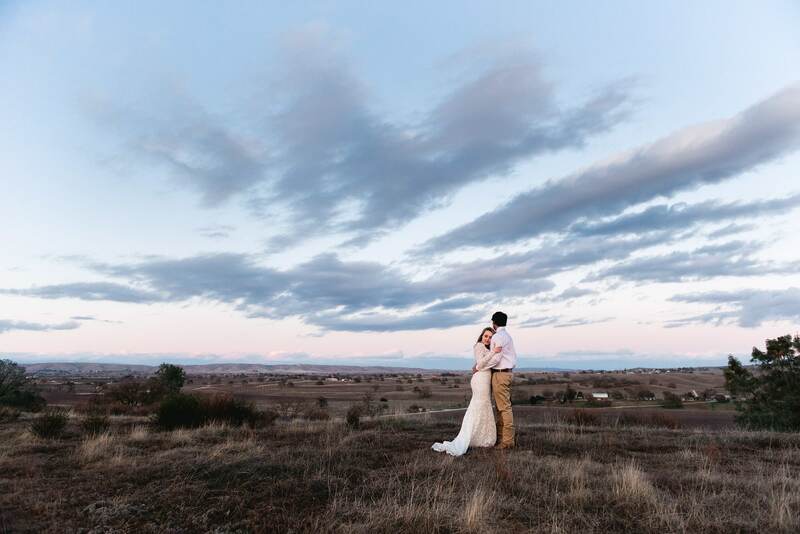 Located on the historic Creston Trail, the opulent HorseTail Ranch is a 150-acre paradise of rustic luxury perfectly suited for you and your wedding party. Create the weekend wedding of your dreams. HorseTail Ranch is an oasis of peace, serenity, and pure pleasure — all rolled into one. And, we are within close proximity to some of California’s premier wineries, restaurants and coastline. There are multiple locations on the expansive property to create a spectacular multi-faceted event wedding. 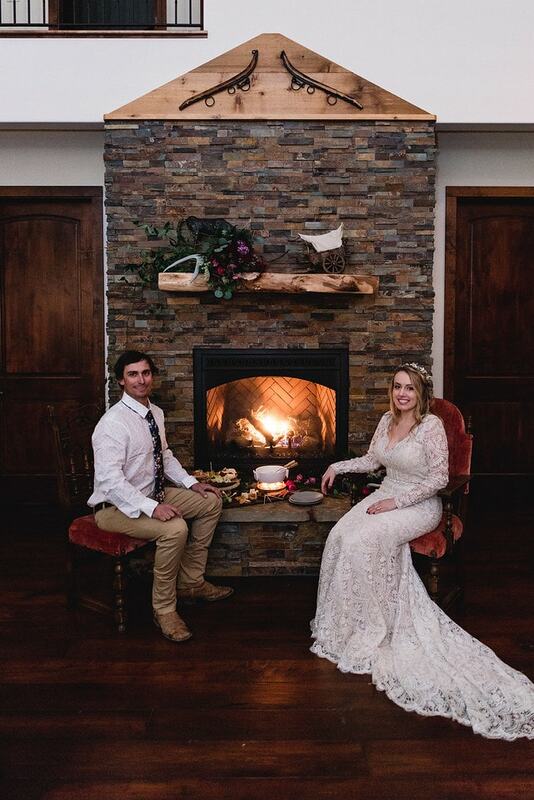 Host a rehearsal BBQ or brunch outside our newly built cabin; have cocktails down at the 12 stall barn; exchange vows on the newly constructed dock overlooking the expansive private lake; or, host your celebratory dinner on the expansive patio off of the Main Villa. Let us help make your wedding dreams come true. You can house many of your wedding guests on the property. The ranch consists of a lavishly furnished and luxuriously appointed five-bedroom, 4.5 bath villa. And, a newly constructed rustic one bedroom cabin has the warmth and comfort to house up to 6 people. You’ll also find our charming 12-stall barn, which is home to Central Coast Trail Rides. You and your guests can enjoy a leisurely horseback ride during their stay. Hike along private trails, or stroll alongside our pristine, expansive lake. Stunning sunsets beckon you to stay outdoors, offering an enticing ambiance. 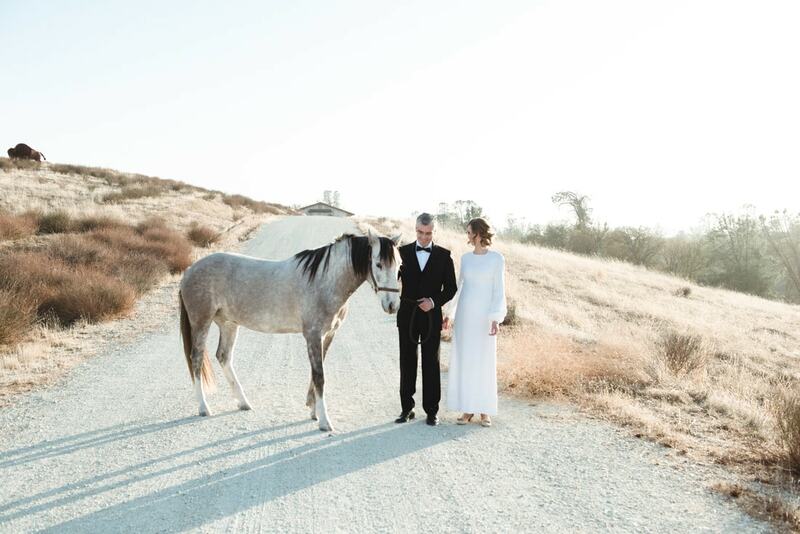 Experience HorseTail Ranch, where all weddings and events are welcome and celebrated!